Treats, we got ’em. 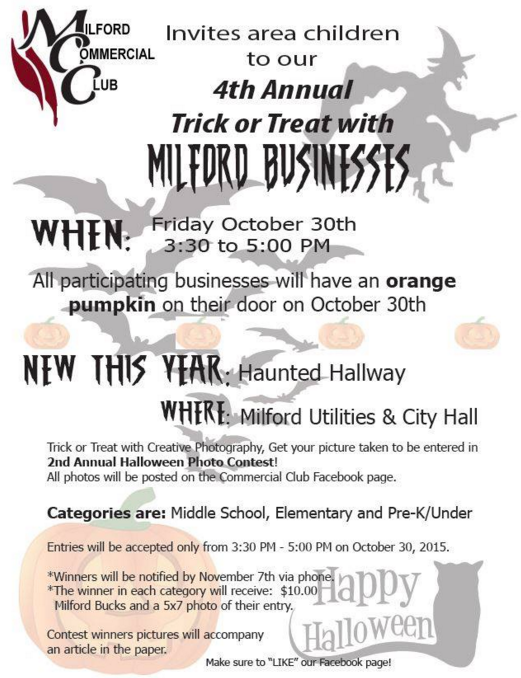 Bring the little monsters to the Milford Commercial Club Halloween on Friday, Oct. 30 from 3 to 5:30 pm, where we’ll be handing out treats. 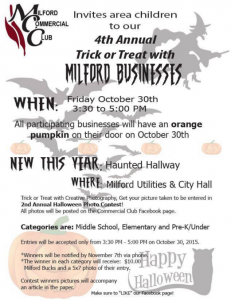 The festivities happen at Milford Utilities and City Hall.